Sentence of the Day- Uh-oh, Pop-Pop! Happy Fourth Birthday, Katy Grace!!! 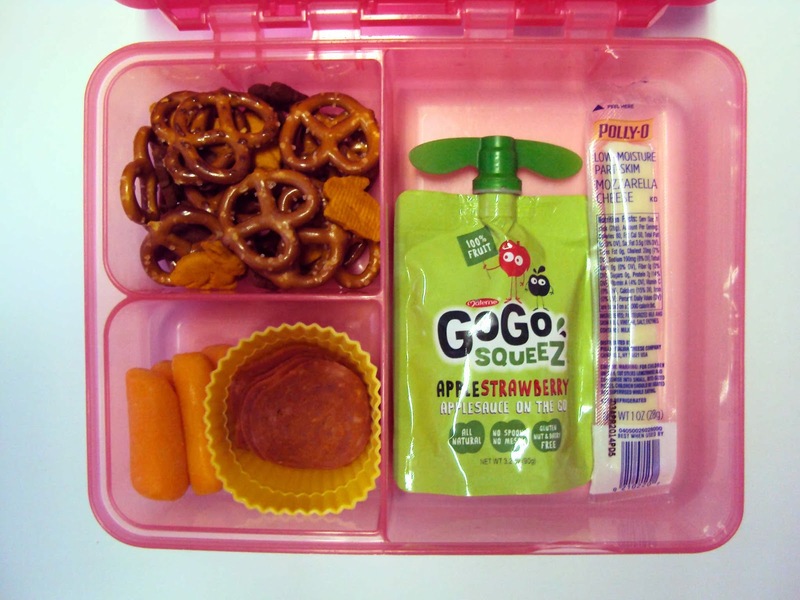 Pretzels and Honey Bunnies, Gogo Sqeez Apple/Strawberry sauce, String Cheese, Pepperoni and Carrot sticks. Here's the latest Lunch Bunch lunch... I'm happy to report that Lil' Miss ate most of this lunch- even the carrot sticks!